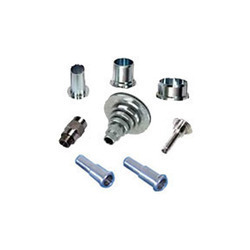 Prominent & Leading Manufacturer from Pune, we offer ms traub components, traub components and traub studs. Material ISO Metric, BSW, BA, BSF, UNC, UNF, UNEF or as per customers specification. Spur Gears are designed to transmit motion power between parallel shafts, which rotate in opposite directions.Plastic, brass, steel, aluminum are the materials generally used for manufacturing Spur Gears. Electric screwdrivers, oscillating sprinklers, windup alarm clocks, washing machines, clothe dryers conveyors are just a few everyday machines where spur gears are used. 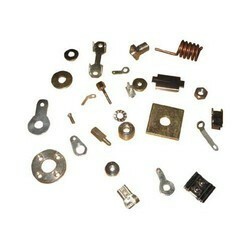 We are an acclaimed name engaged in offering our precious clients a superior quality range of Traub Components. These components are manufactured using optimum grade raw material and sophisticated technology in synchronization with industry standards. In order to ensure quality, the offered components are rigorously tested on various parameters by our quality controllers. Keeping in mind the diverse requirements of our clients, we provide entire range in various sizes and specifications and at affordable prices. 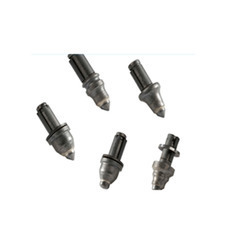 We have comprehensive range of Traub Studs, which is designed using quality tested raw material. Available in various specifications, our range finds application in diverse industries, such as engineering and automobile. Besides, we can customize our range as per the requirements of our clients from 2mm to 60mm.